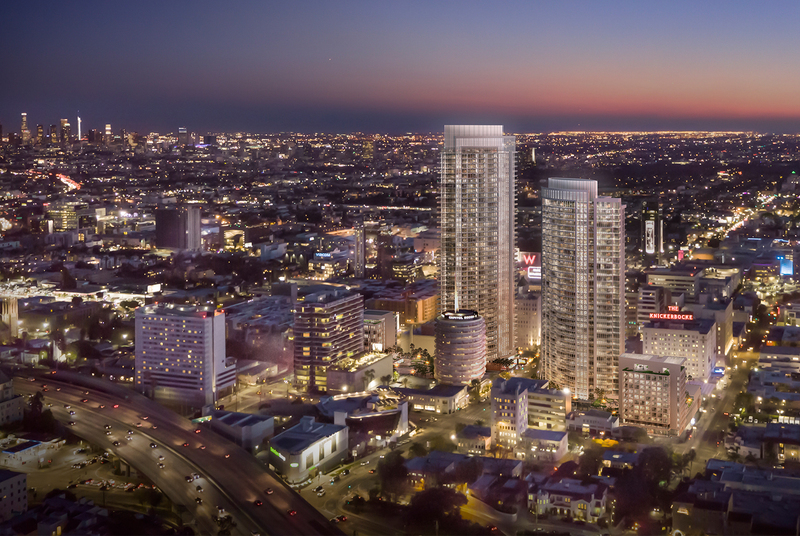 Hollywood Center will be a 4.5-acre, LEED Gold Certified, mixed-use vertical community at Hollywood and Vine. 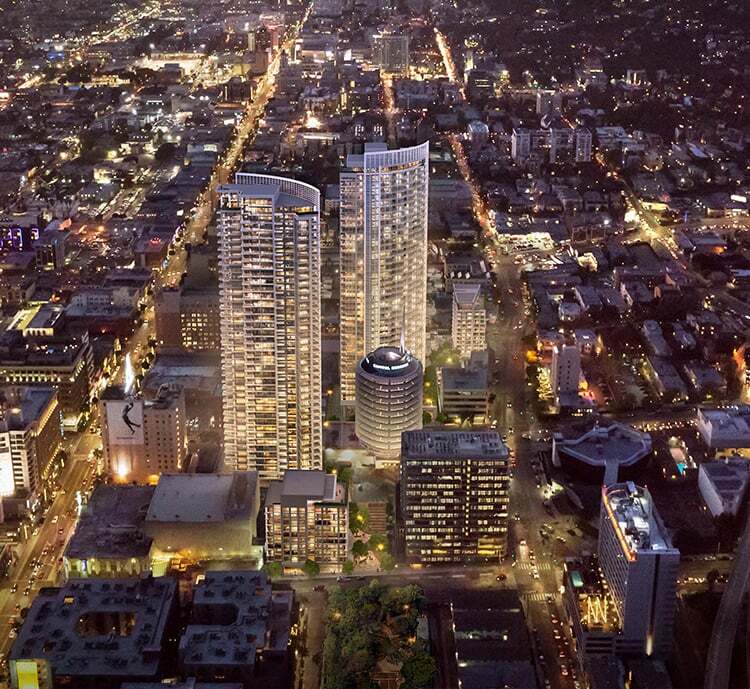 Rising from surface parking lots adjacent to the Capitol Records Building, this project has been designed by Handel Architects to complement the unique architecture of the iconic building and realize the plan of the site’s original architect, Louis Naidorf. 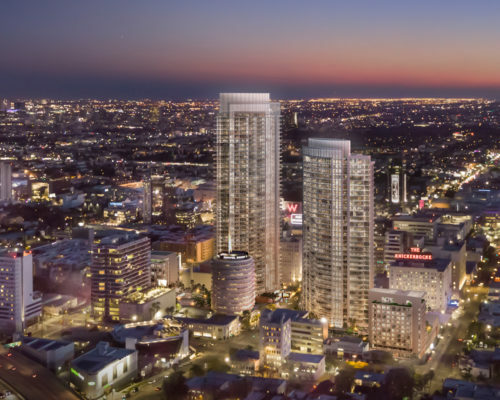 Created by MP Los Angeles to respond to LA’s critical need for housing, Hollywood Center comprises two buildings of 35 stories and 46 stories, two mid-rise buildings of 11 stories each, with a total of 1005 residential units. Of these, 133 will be set aside for very-low and extremely-low income seniors, which will be managed by Menorah Housing Foundation, a Los Angeles-based nonprofit and one of the largest operators of senior affordable housing in Southern California. This affordable housing component marks one of the largest complements of on-site affordable housing within a market-rate development in the history of the City. 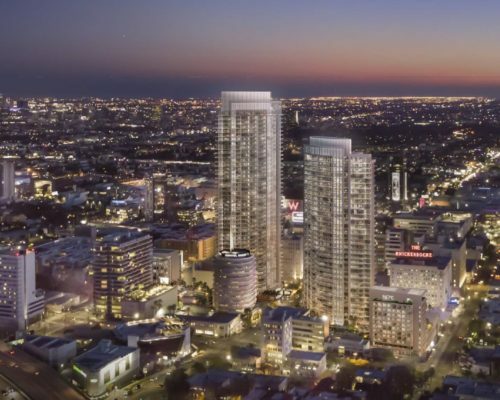 In addition to the residences, two dynamic, new civic plazas will add an acre of open green space to the project and create a much-needed, safe outdoor gathering place in the heart of Hollywood, unlike any that exists in the city today. This inviting, pedestrian-friendly setting will be a central hub for the neighborhood, offering a wide array of outdoor amenities including numerous restaurants and cafes, as well as space for concerts, art shows, wellness activities, and more. Hollywood Center will be a forward thinking, environmentally-conscious, and sustainable building, as well as a safe and resilient space, utilizing state-of-the-art technology and building techniques. Public and pedestrian safety will be paramount. In addition to being located adjacent to the Metro Red Line, the project has been designed with amenities that encourage biking, walking, and mass transit as primary transportation options. 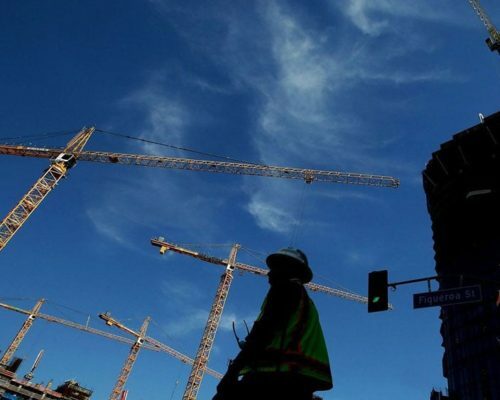 Construction of the project will create approximately 7,560 full-time and part-time jobs throughout the City of Los Angeles economy, of which 4,670 will be construction jobs located on the project site. Annual operation of the project will support another 1,230 full-time and part-time jobs. Developer MP Los Angeles is committed to creating a project that responds to the needs of the community. Backed by executives responsible for large-scale, transformational projects in major cities throughout the U.S, MP Los Angeles has worked closely with the Hollywood community and elected officials to create a project that addresses Los Angeles’ current and future needs and concerns, from affordable housing and environmental stewardship to neighborhood revitalization and historic preservation. A new future is rising here at Hollywood Center. Where are you in the entitlement process? Hollywood Center submitted its entitlement application to the City of Los Angeles on April 12th 2018, beginning the lengthy entitlement process, which will include the preparation of an Environmental Impact Report, and many public hearings. Will there be a development agreement? Yes – the project will include a development agreement with the City of Los Angeles to provide a mechanism for community benefits. Will there be any offsite signage as part of the project? No – although the property is located within the Hollywood Sign District, the project includes zero offsite signage. Will the project be LEED-certified? The project will be LEED-Gold certified. The project will also be Greenhouse Gas net-neutral, meaning that throughout construction and operations of the project, the site will emit no more GHGs than it does today. Will there be pickup and drop-off areas for ride sharing services? Planning for the future of transit is important, not just for the project, but for the greater Hollywood neighborhood. Our project will have dedicated pickup and drop-off areas for ride share to improve safety and minimize circling traffic. 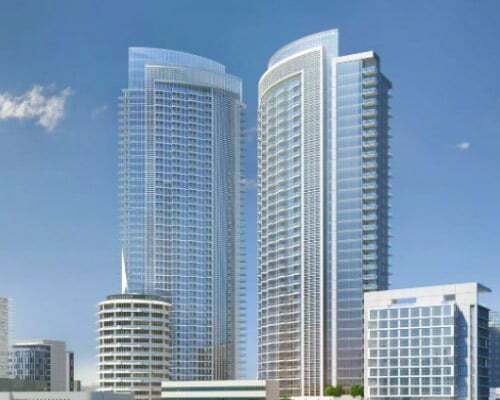 Construction of the project will create approximately 7,560 full-time and part-time jobs throughout the City of Los Angeles economy, of which 4,670 will be construction jobs located on the project site. Annual operation of the project will support another 1,230 full-time and part-time jobs. In addition, the project is estimated to generate more than $9.2 million in one-time revenues to the City of Los Angeles General Fund during project construction, and over $226 million in net new General Fund revenue through 2050, after accounting for the cost of City services delivered to the project site and City property tax revenue currently generated from the project site. What are the heights of the buildings? Each of the senior affordable residential buildings is 11 stories. 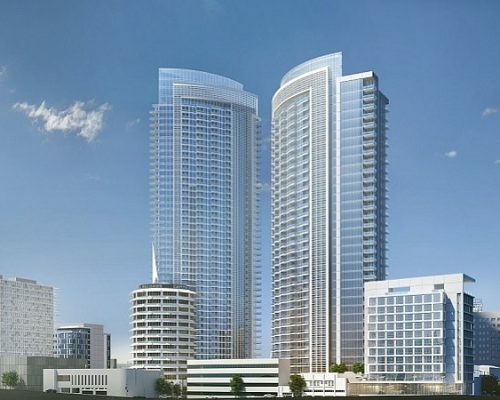 The heights of the mixed-use buildings are 35 and 46 stories. What subterranean investigations have been completed to study potential earthquake faults? 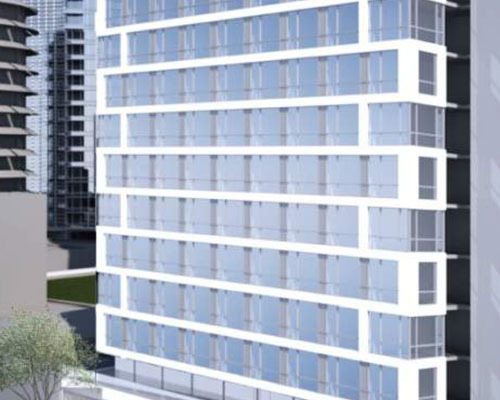 Why are senior affordable units appropriate for this project/location? Given the housing and the affordable housing crises in the region, we are committed to including onsite affordable housing in our project. We have partnered with Los Angeles-based nonprofit Menorah Housing Foundation to oversee and manage the day-to-day operations of Hollywood Center’s designated affordable units. The project site, centrally located in the heart of Hollywood and adjacent to mass transit is a perfect location for senior housing, allowing longtime Hollywood residents the opportunity to age-in-place in Hollywood in residential buildings with appropriate amenities built specifically to serve their needs. Do you have any above grade parking? This project includes no above grade parking. What bicycle amenities will be included in the project? The project will include abundant permanent and temporary bicycle parking spaces, both below grade and at-grade. It will also include a bicycle center with bicycle maintenance services available to the public. Is any aspect of the project open to the public? Yes – the project features over 1-acre of publicly accessible open space designed by Field Operations, the landscape architect of the world-renowned High Line Park in New York and the Tongva Park in Santa Monica. The project team will ensure that the public gets to enjoy beautifully landscaped gardens, relaxing seating areas with fire pits, a technology enabled music plaza experience, and community driven acoustic music performances, in a safe and secure environment. We plan on beginning construction in 2022. 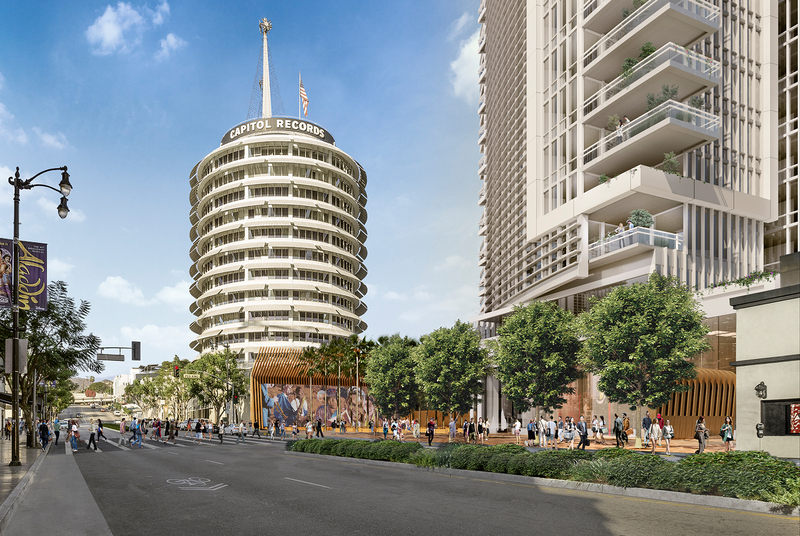 Will the Capitol Records building be preserved? The Capitol Records building is the most recognized building in Hollywood. It will be completely preserved and celebrated as the centerpiece of the new project. One of our goals is to enhance the experience of those who visit the Capitol Records building. How much retail is planned and who are the likely retail tenants? 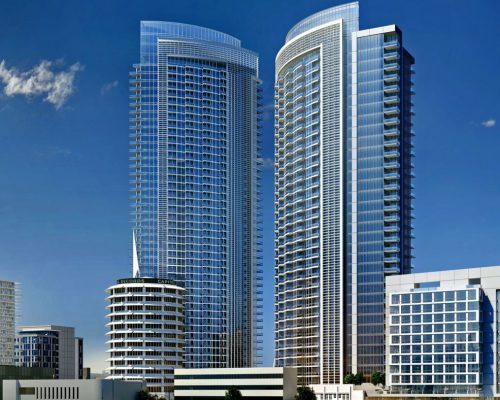 The project will include 30,176 square-feet of commercial space. The likely tenants include coffee shops and eateries as well as neighborhood serving retail. What has the architecture team designed before in Los Angeles? What are the specific entitlements being requested? Site Plan Review because the project includes more than 50 dwelling units. What happened to the previous entitlements? A previous project for the site received unanimous support from the City Council and Mayor in 2013. Since that time, the project has faced litigation that remains ongoing. 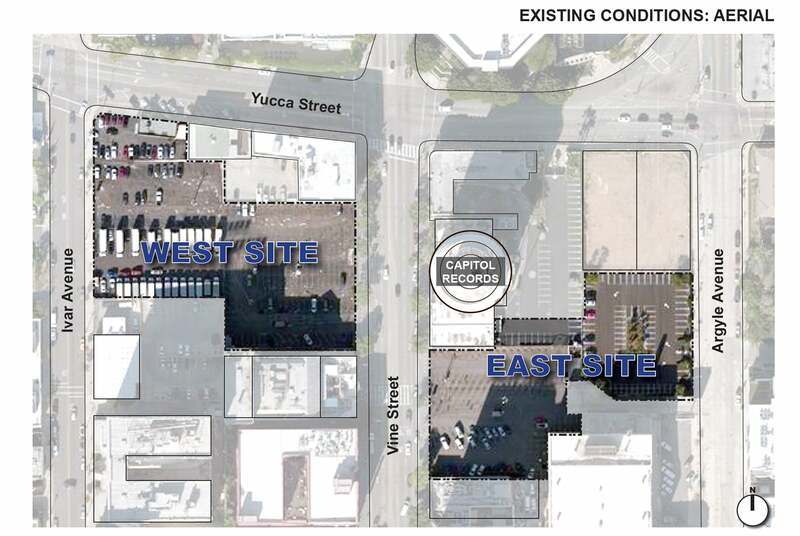 MPLA’s Hollywood Center proposal directly addresses changes that have occurred in Los Angeles since the original project took form almost a decade ago.